Augsburg, c.1750. 505 x 585mm. Original body colour. 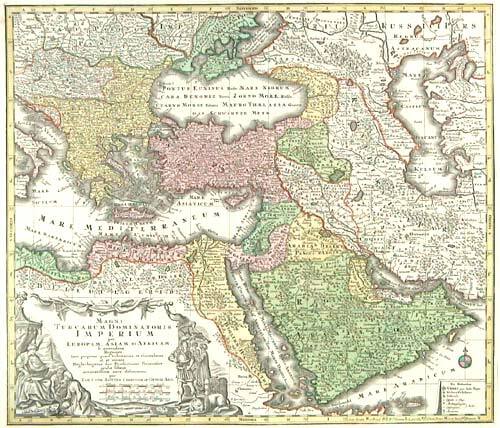 Map of the Turkish Empire, covering Greece, Arabia and Libya.